NO monthly session at Tir na nOg, 1324 Hamilton Ave., from 3-6pm. Cancelled due to the Super Bowl. Educational programs for the Gael Scoil being held at St. Mary's Rectory from 10am-3pm. 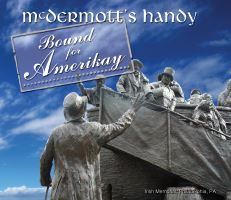 Philadelphia Ceili Group's Saint Patrick's Ceili Mor at the Commodore Barry Club, Irish Center, Carpenter & Emlen Streets, at 7:30pm. With the McGillians. Tickets $15. Dance instruction by John Shields. Concert for the Warren County Library, 4 Lambert Rd., at 11am. Free. Concert at the Monroe Township Library, 713 Marsha Ave., at 7pm. Free. Special children's storytime concert at 11am at the Verona Public Library, 17 Gould St. Regular concert at 2pm for the family! Free. Music for the service at the Church of the Loving Shepherd, 1066 S. New St., at 10am. Concert for the Greater Pinelands Preservation Society at 7pm at the Pinelands Preservation Alliance in Bishops Farmstead at 17 Pemberton Rd. Free and open to the public. We're at the Somerset Folk Harp Festival at the Sheraton Parsippany in a variety of roles. Get in on early-bird pricing. Sign-up by May 1 for the festival. 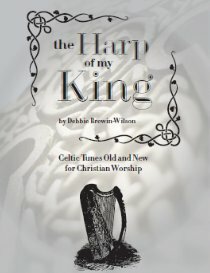 We're the music anchors and will be shepherding a 30-person guided tour of Ireland for 10 glorious days of sightseeing, history and great traditional music. 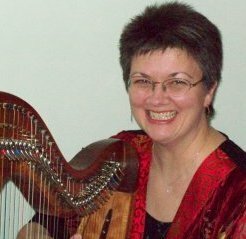 See website to see if seats are still available. .
Kathy playing harp for a wedding ceremony at The English Manor from 3:30-4:30pm. Teaching and performing at the Somerset Folk Harp Festival. See website for details and to sign-up. 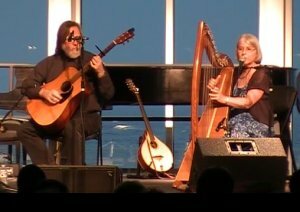 Performing and teaching at You Gotta Have Harp's 23rd Annual Harpers' Escape Weekend. See website for details and to sign-up. Teaching and performing at the 15th annual Somerset Folk Harp Festival. See website for details and to sign-up. "Her voice creates an immediate intimacy...a warm sound..."